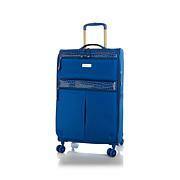 Travel should be exciting and breezy ... don't let bulky, inefficient luggage weigh you down! 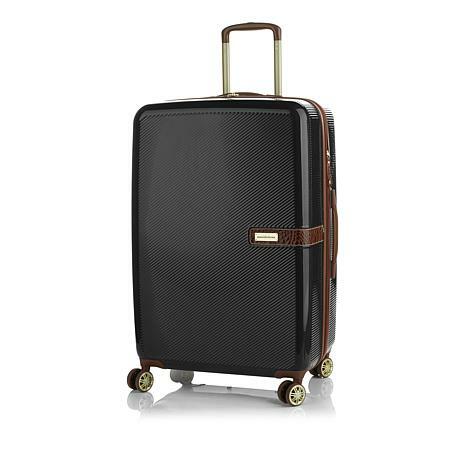 This hardside spinner is tough, yet lightweight, and offers all of the interior organization and luggage protection every intrepid traveler needs. Choose your favorite hue for a stylish finish that's easy to spot on the carousel, and wheel your way to a carefree vacay! Allows you to separate clean and dirty clothes; your clothes and your partner's clothes; clothes for different parts of your trip, etc. When I cruise, I usually have to pack a large suitcase, duffel bag, and a large tote. I didn't have to do that on my latest trip cause this suitcase is sooooo roomy. The hard-case was easy to clean (a damp cloth). I just can't say enough good things about this bag. 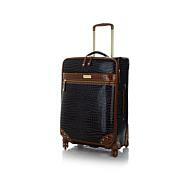 I absolutely love this luggage, I received it yesterday and it is beautiful! !Leaving for a vacation to Hawaii next week and I am so excited to use it. It is very rummy and this one will work out perfectly!! I purposely waited until I traveled to write a review. I am a plus size model who worked the runway in Paris, France for Paris Fashion week. I was too tickled by the many compliments on my Rose Quartz. It rained at my home airport, but I was the only one who didn't have to ring out and air dry my clothes at the Parisian hotel - hard case kept everything dry. It was so easy to manuevar on escalators, terminals, etc. 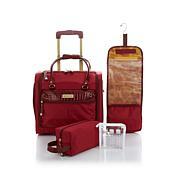 I've tried several luggage brands on HSN, but Samantha B is the real deal. Love! My mother purchased the smaller one for me and after using for a couple of months I saw the quality and durability of this brand and decided to upgrade size! 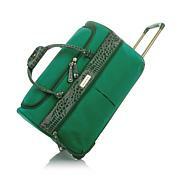 It is not only very pretty and durable, it has a lot of pockets. This is a must buy.